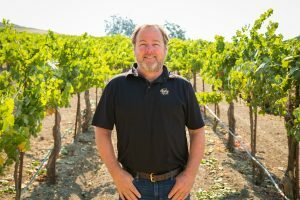 They say good fences make good neighbors, but it was a love of wine and winemaking that was the connection between Opolo proprietors Rick Quinn and Dave Nichols. Their two families have lived side-by-side in Camarillo since 1996. As Nichols remembers, “I knew Rick to say hello to, but that was about it. Then one day, he said to me, ‘Hey Dave, I just planted 10,000 grapevines!’” And so began the evolution of Opolo, one of Paso Robles’ premier labels. Quinn and Nichols have been neighbors in two counties since 1997 when Nichols bought vineyard property adjoining Quinn’s. Together they now own and farm nearly 300 acres of vines on the east and westside of Paso Robles. As a nod to Quinn’s Serbian heritage, the name Opolo stems from a rosé style wine discovered on the Dalmatian Coast. Rick and Dave bottled their first vintage in 1999, opening the Paso Robles tasting room with two barrels and a wood plank bar in 2001. Opolo has continued within its humble beginnings in the same tractor barn, expanding for production and hospitality space. First by adding more barrels and wood planks for bar space, and most recently, an expanded covered patio and updated, attractive tasting room – complete with furniture and decor recycled from wine barrel staves and rings. Opolo’s estate vineyards were established from 1994-1996, with sites on both the west and east side of Paso Robles. The topographically diverse, coastal landscape of the westside vineyards provides for an intense and unique flavor profile. The heat and dryness of the east side vineyard make it an ideal microclimate for growing Bordeaux varietals. Home to a wide range of varietals, the estate vineyards help allow the team at Opolo to create many unique single varietals as well as award winning blends. Most important in making high quality wine is starting with high quality grapes. Opolo’s vineyard team carefully monitors each lot of grapes throughout the season in order to produce the highest quality fruit possible. From taking leaf, petiole, and soil samples, to monitoring water uptake in the vines, all aspects of viticulture is carefully notated and examined with the intent of producing only high quality fruit for our winery. The entire Opolo production team works together every year to provide the best quality product possible. At Opolo we believe a strong, cooperative relationship with the land and our environment is crucial. We practice sustainable methods in both the winery and vineyard operations in order to preserve our environment, water and local wildlife. Opolo is a “SIP” Certified operation as well as certified organic by “CCOF” in our 64 acre walnut orchard. We continue to be great stewards of the land and invite you to come to our vineyards and see our operations! We grow barley between the planting rows in order to hold moisture in place and prevent erosion during the winter rains (when there is rain) and instead of cutting and removing the barley, we simply mow it in place to add beneficial nutrients back to the soil. Owl boxes make great homes for nesting owls, as well as provide a natural rodent and pest control in the vineyard. Water is recycled at Opolo through our two-tank wetlands’ system, which uses marine plants to filter the water so it can be reused in the vineyard. The wetlands also provide a habitat for beneficial microorganisms, insects, and birds.